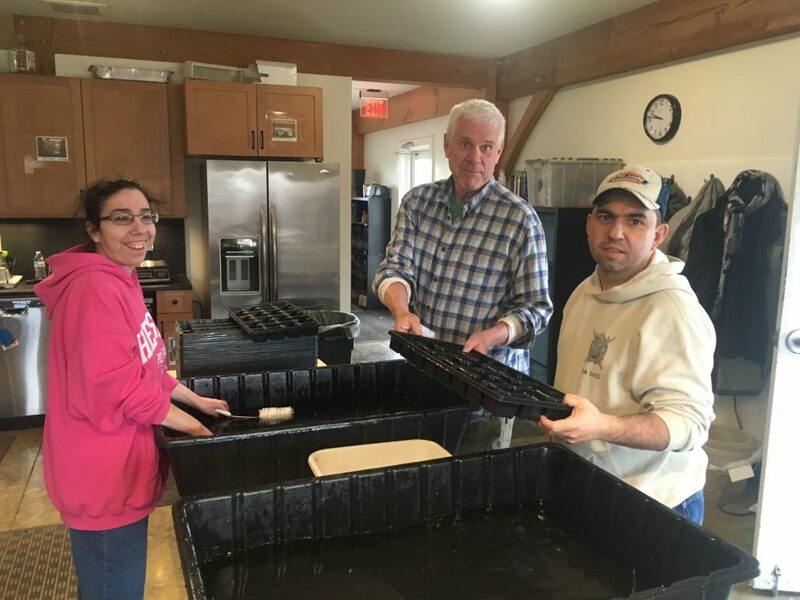 While hosting the 2018 Mid-Atlantic Care Farming Summit we were introduced to the term "super volunteers" — those regular faithful volunteers who continue year after year. We decided it was a great way to describe our volunteers who join us each week all season long, for multiple seasons. These folks dedicate their time and energy to keep our mission going. They care for the fields as well as the people, becoming an integral part of our inclusive community. Winter weather can't keep our volunteers away. 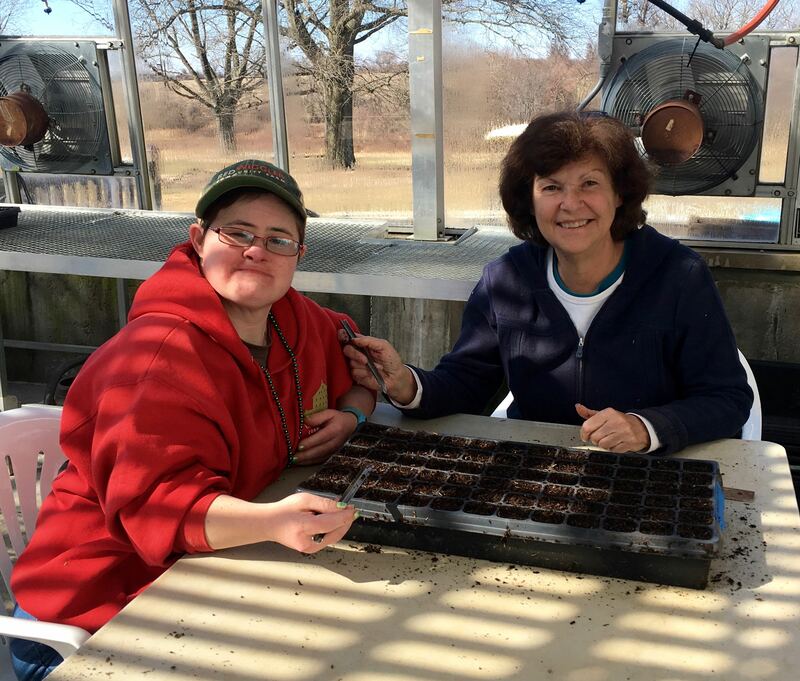 From left, Elaine (Grower) and Dorothy (volunteer) seed spring greens. John (center), a volunteer, keeps the team going with a smile while we catch up on a pile of pot washing. Bring the energy! After a few days of weeding it's easy to let those pesky plants get the best of you. A familiar face, a fresh pair of hands, and new conversation can quickly turn repetitive tasks into fun catch-up time. Are flexible. Our volunteers are very aware of our programs and farming, and they're always ready to work — rain or shine. Love to learn. Our volunteers are eager to listen and learn about sustainable farming methods each time they visit the farm. See it all. These volunteers have stopped counting their time with us in months. They count in seasons, but not in the typical way. Our volunteers recall the "Unstoppable cherry tomato season," the "When-will-the-rain-stop season," and the "Best zucchini year season." It's not just all work in this community. 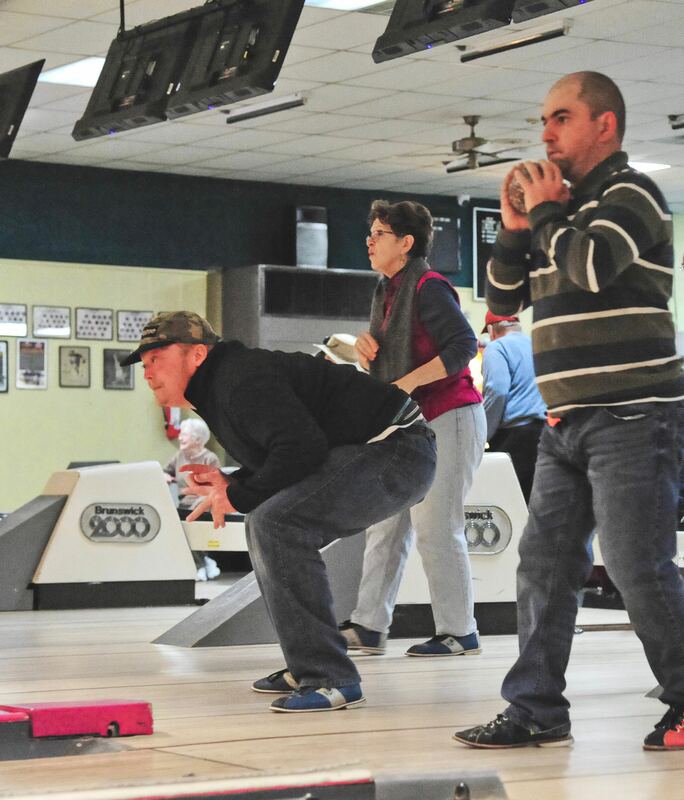 (From left): Craig (Grower), Jean (volunteer), and Nuno (Grower) enjoy a game of duckpin bowling at the annual holiday party. It's great when volunteers join us for work and play. 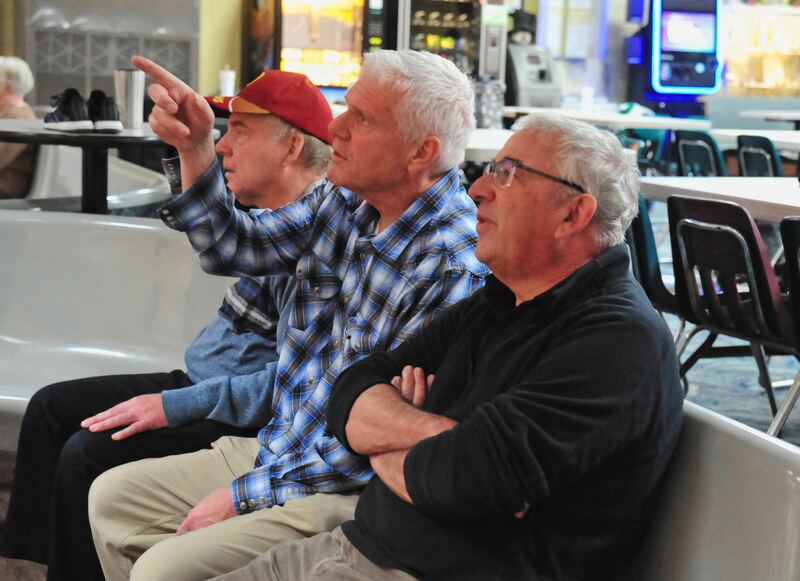 (From left): former Grower Tyler waits for the next round of bowling with volunteers John and Jim. I find my days at Red Wiggler are always rewarding in some way. I came to volunteer at Red Wiggler because my cousin Tyler, who has a developmental disability, had worked there for many years. I wanted to spend more time with him as well as give back something to a place that had played such an important and positive role in Tyler’s life. I continue to volunteer even though Tyler has retired, and I highly recommend the experience to everyone. It’s all about learning: learning to plant, nurture, and harvest; learning how to work and live in an inclusive community. I’ve even learned to love mustard greens and kohlrabi! I like getting my hands dirty both literally and figuratively. I also like interacting with the Growers, staff, other volunteers, and CSA members. It is nice to give back to the community both in helping the Growers grow and providing healthy food for people. I feel great being apart of the community and being a Red Wiggler volunteer. It has made a huge impact on me that I applied and got accepted into the 2019 Farm Volunteer Intern program at Red Wiggler! 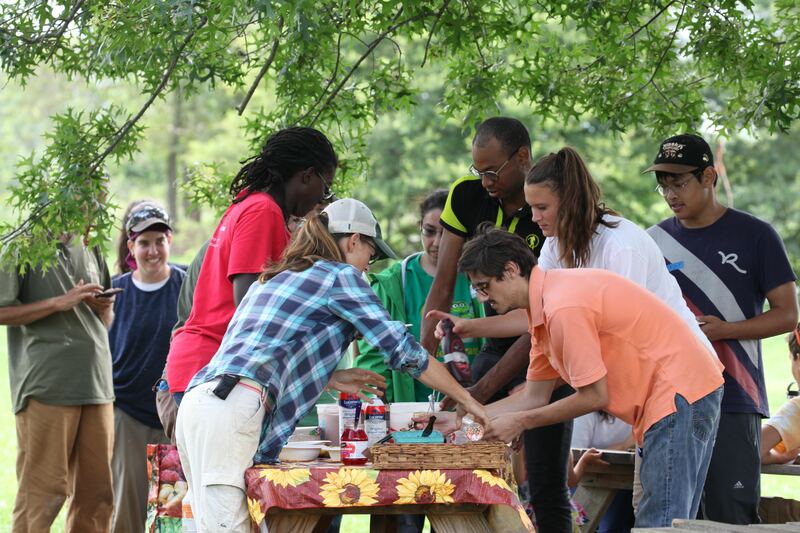 I have increased my level of volunteering at Red Wiggler over the past couple of years. In doing so, Red Wiggler has become more of a community for me and I cherish the friendships with both the Growers and staff. I am always surprised to discover the abilities and talents of the Growers. They have so much to teach us when we take the time to listen and open our minds. For me, the farm is a refuge from the chaotic world around us. Sometimes just saying thank you doesn't seem like enough. 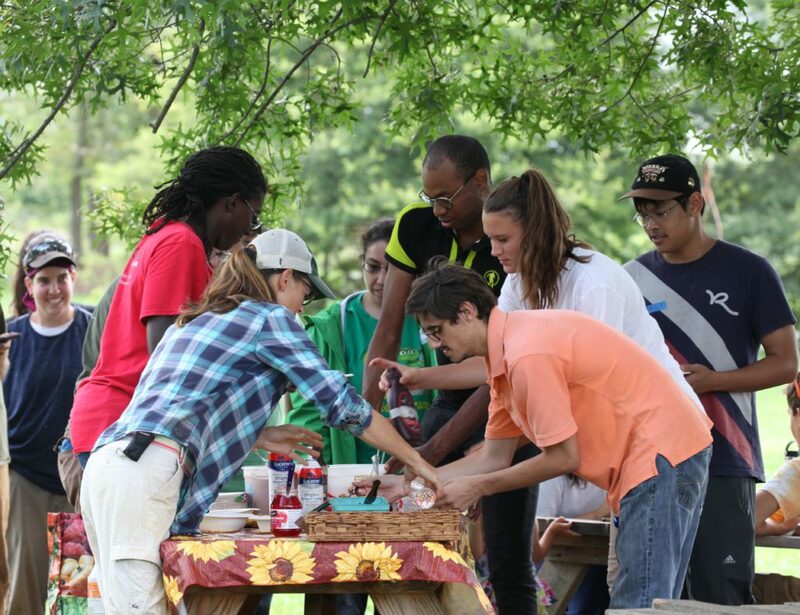 In 2018, the team enjoyed a summer volunteer appreciation event. 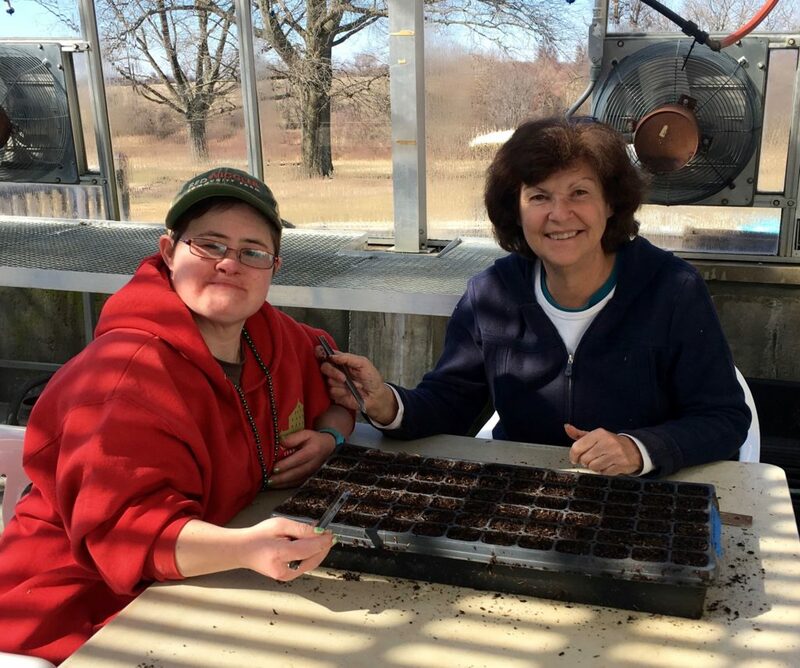 There are many ways to volunteer with us, and we appreciate everyone who chooses to spend time here on the farm. Some volunteers come for a summer, a school trip, or a corporate visit. Our super volunteers started with one visit that turned into seasons of support. We just couldn't do it without them. Feeling inspired? Come volunteer with us! Join us as an individual or with your group. Visit the Red Wiggler Volunteer page to learn more.